Census New Zealand is clearing up reports that field workers in the Coromandel were told to skip some houses in the region. The allegations have been questioned by Coromandel MP Scott Simpson who says he is seriously concerned at the reports. “The potential impacts of this are huge for the Coromandel. If households were purposefully or even accidentally skipped this would seriously compromise the quality of the data and have wide ranging ramifications for Coromandel. “Our portion of over $10 billion of health funding allocated to DHBs each year is based on Census population data. If that data is not accurate and information about population size and demographics are not available this could mean that the Coromandel misses out on vital funding. “It would also affect our schools - the funding formula for the operating grants for our schools is derived from the Census, as are decisions about the allocation of resources in social services, police, sports, transport and many other services. “We know that the data for over 400,000 people is missing across the country – who knows what portion of this is from Coromandel. There are some serious questions to answer if it turns out that this year our geography proved too difficult. “I’m also worried that people not just in the Coromandel, but in other remote parts of New Zealand have not had an opportunity to participate in this year’s Census. “The Minister needs to front up about the reports from experienced census workers that they were given instructions to simply skip some houses. This undermines the nationwide credibility of the entire caucus and puts at risk the public services in Coromandel. However Census New Zealand general manager Kathy Connolly says field workers were given specific instructions on how to carry out the work. She say the census field team had been made up of contracted staff members, who received up to 21 hours of paid training before commencing their work with households before, and after, census day. “In some cases, field staff didn’t work across all phases of the operation, so would not have had the experience of following up with households after census day. Kathy says for the first time Stats NZ were able to track which households had completed their census forms and which households needed a follow up. “Our system was based on an address list that had been built from 2013 Census data, NZ Post data and a canvassing operation in July 2017, where we checked 80 percent of the records on our list in person. “Workloads were prioritised accordingly and our field team completed close to one million visits over seven weeks of follow up after census day. She says households that had been identified as not taking part were followed up with a combination of visits and reminder letters. “The follow up period after census day ran until 30 April so that we could reach as many people as possible who had not taken part in the census on or before 6 March. 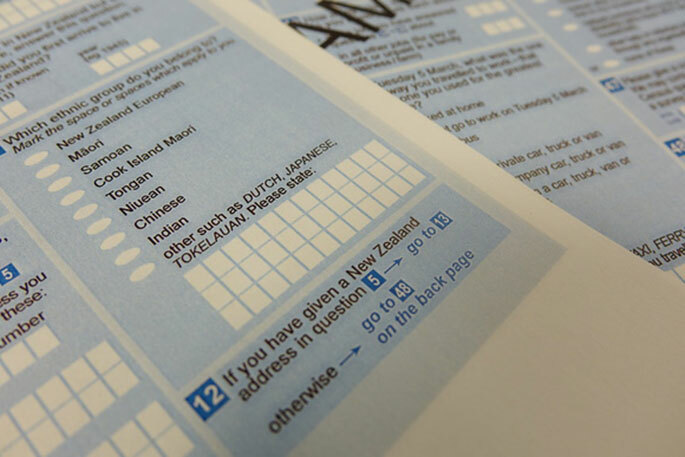 “Stats NZ is in the process of assessing the collection phase of the census operation, which closed in April 2018.